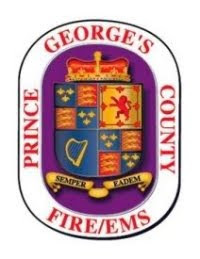 This weeks update is provided by Prince George's County Fire Captain Charlie Flinn. "Volunteer Fire Fighter Kevin O'Toole had surgery on his left hand/arm Monday, April 9. He is doing very well after this most recent round of skin-grafts. Presently his forearm and hand are bandaged rather tightly so that the skin can "take". All other surgical sites are doing very well and healing promptly. Spoke with the family this afternoon and everyone was in good spirits, in fact they were given an estimated discharge date for Kevin for maybe 2 weeks. This is good news. Kevin was also given a promotion within the Bladensburg Volunteer Fire Company to the rank of Sergeant." Kevin's Facebook page has been busy with well-wishes, requests for FD patches, pictures and Kevin, with the assistance of family, has become more active in updating his status, for example, on Monday he/family posted, "Out of surgery....sleeping...His left hand was grafted...fingers and all! Still not out of the woods w/the fingers yet...but I will take it....he has the "club" again...ggrrrr!! Lol....will know in a couple days the results, if the grafts took...another surgery behind us...let's hope it was his last :)"
Kevin's Facebook page can be found by clicking here. Please continua to keep Kevin and his family in your thoughts and prayers as he progresses through the healing and recovery periods. * WINDS...WEST 15 TO 25 MPH WITH GUSTS UP TO 35 MPH. AND 3 TO 6 PERCENT ELSEWHERE. PROMOTE RAPID SPREAD OF ANY UNCONTROLLED FIRES. Instructions: A RED FLAG WARNING MEANS THAT CRITICAL FIRE WEATHER CONDITIONS ARE EITHER OCCURRING NOW...OR WILL DURING THE WARNING TIME PERIOD. A COMBINATION OF STRONG WINDS...LOW RELATIVE HUMIDITY... AND WARM TEMPERATURES WILL CREATE EXPLOSIVE FIRE GROWTH POTENTIAL.